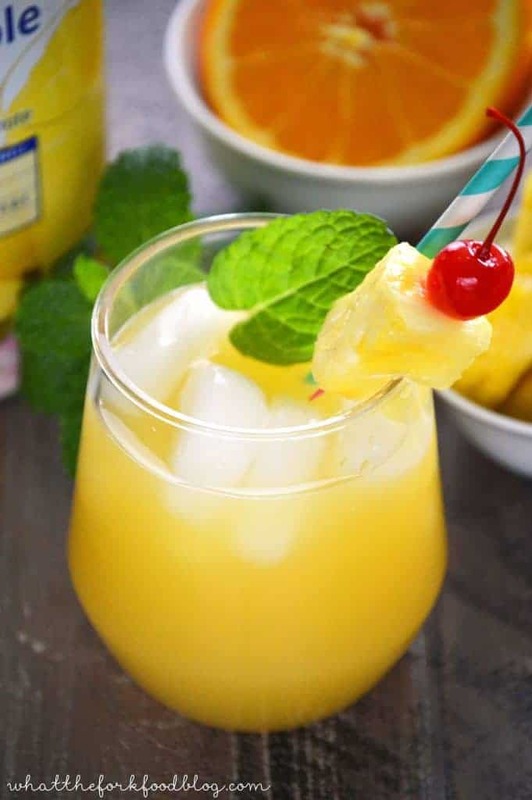 This Aloha Screwdriver is the perfect cocktail for Mother’s Day or Sunday brunch. It’s fruity, slightly sweet and slightly tangy from the addition of pineapple juice. Move over Screwdrivers and Mimosas, there’s a new cocktail in town! 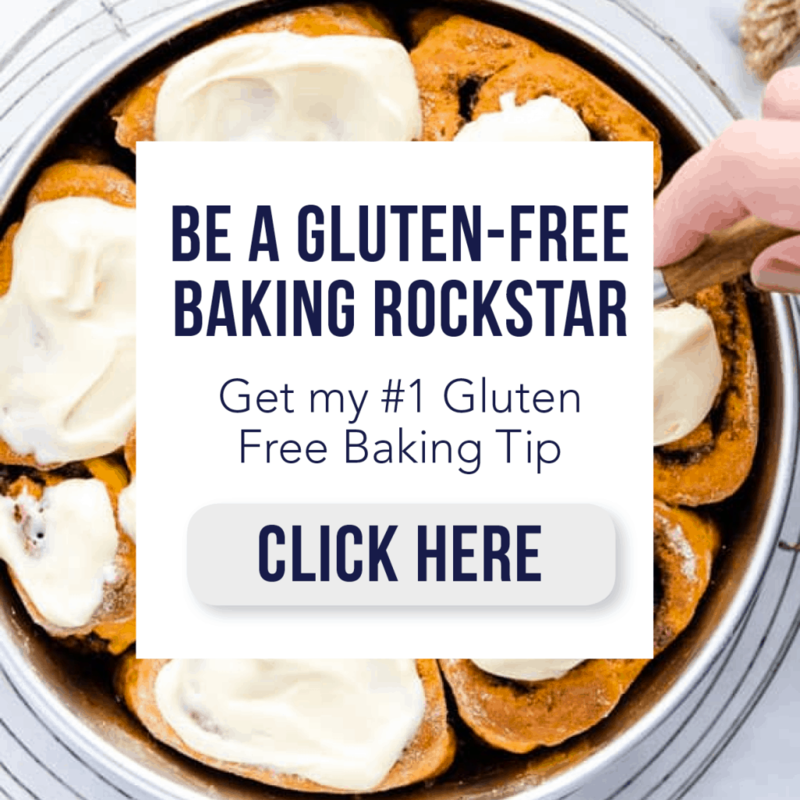 This is a sponsored post written by me on behalf of Dole and the Mom It Forward Blogger Network. All opinions are my own. Mother’s Day is right around the corner, as in just a few days. Time to celebrate all the great mom’s out there who work so hard. You’ve probably heard it before but being a mom is truly one of the toughest jobs around. So let’s let our moms kick back and relax because they deserve it. What better way to kick back and relax than with a drink in hand, amiright? 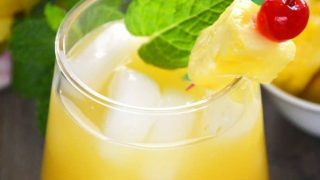 Be sure to add this Aloha Screwdriver to your cocktail list because it’s such a fruity, delicious drink spiked with vodka. And you can’t go wrong with vodka! What sets this screwdriver apart from it’s original counterpart is the Dole Pineapple Juice. It adds a sweet/tart taste that’s just phenomenal. You might just enjoy it so much that you’ll never go back to just OJ. Pineapple juice has always been a favorite of mine ever since I was a kid. It’s one of my pantry stapes as it can be used in so many sweet or savory recipes and drinks. Try it in place of the apple cider vinegar in my homemade bbq sauce recipe! Dole Pineapple Juice is a juice you can feel good about since it’s 100% juice, not from concentrate, Non GMO, naturally gluten free and packaged in BPA free cans. It’s also a great source of Vitamins A, C and E. <– Yes, I totally went OCD there and listed them in alphabetical order. Honestly, this drink is so, so good. Too good, actually. As in, you might make a pitcher of this and then not want to share. But, since we’re celebrating with others, we need to get over our 5-year-old selves and put our sharing pants on. Since this Aloha Screwdriver is perfect for brunching, you’ll need something to eat, right? 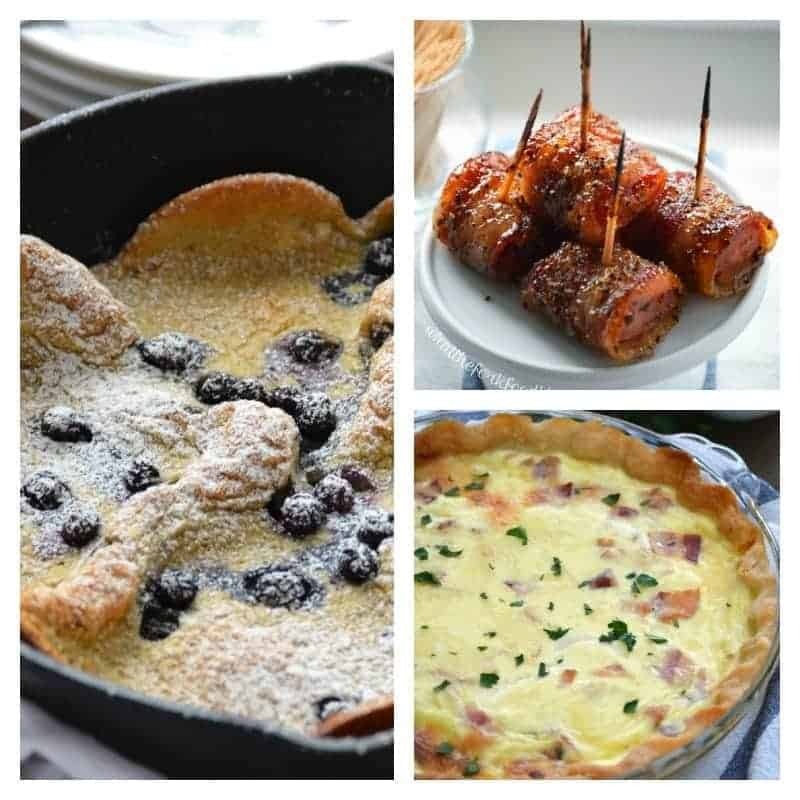 Pair this cocktail with Blueberry Dutch Babies, Bacon and Swiss Quiche, a fruit salad and Bacon Wrapped Kielbasa Bites for a complete and satisfyingly delicious brunch! 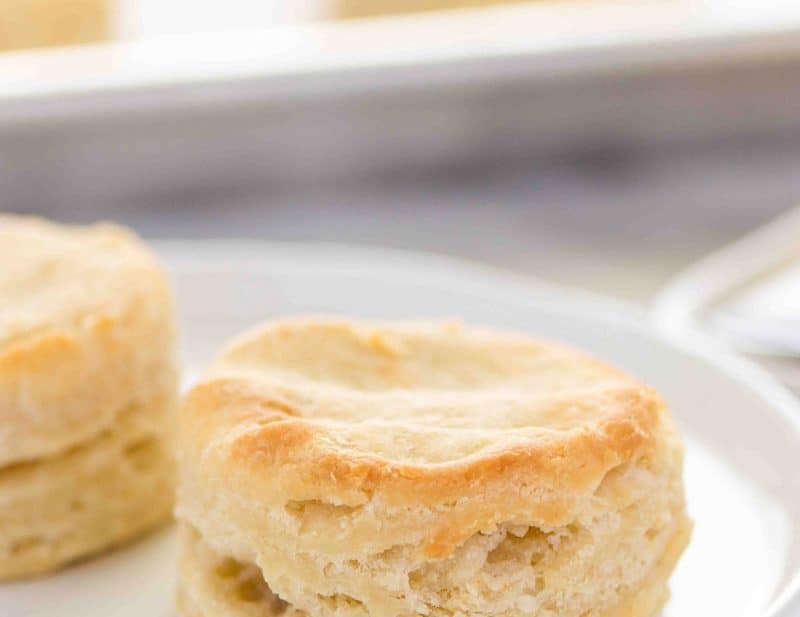 This brunch menu would be great for Mother’s Day, Sunday, or any other day you’re looking to celebrate with good food, good drinks and great friends & family. Be sure to visit Dole to learn more about DOLE Canned Pineapple Juice’s Year of Sunshine, and find more bright ideas for tasty tropical cocktails, marinades and other delicious menu items. Enjoy! In a large pitcher, combine pineapple juice, orange juice and vodka. Pour over ice to serve. Garnish with orange slices, maraschino cherries, pineapple slices and a sprig of fresh mint. Garnish is optional. This post is linked to Two Cup Tuesday, Totally Talented Tuesdays, The SITS Girls, Create & Share DIY and Recipe Party, Gluten-Free Wednesdays, What’s Cookin’ Wednesday, Allergy Free Wednesday, Wine’d Down Wednesday, Full Plate Thursday, Showcase Your Talent Thursday, Create it Thursday, Crafty and Delicious Party, Your Turn To Shine, Pin Junkie Pin Party, Gluten-Free Fridays, Link Party Palooza, Savoring Saturdays, Weekend Wind-Down, Weekend Potluck and Best of the Weekend. 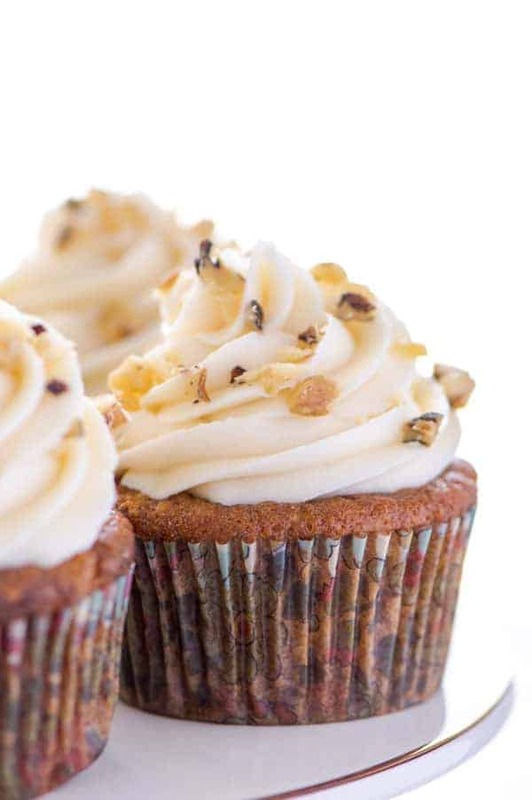 Follow Sharon | What The Fork Food Blog’s board Cocktails on Pinterest. I like pineapple + vodka and I like orange juice + vodka so together- Of course. You forgot vodka + vodka. Wait, that’s not just me right? This looks so tropical and refreshing! I love the pineapple twist on a classic. Yummy! Your food looks AMAZING as well, glad I found you! 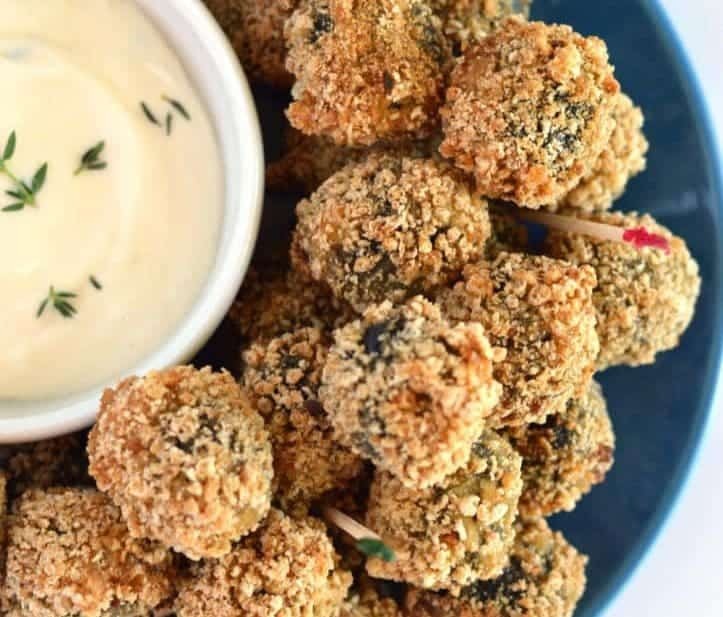 It’s SUPER easy and yummy!